A CANBERRA greyhounds’ spokesperson has slammed the ACT government’s announcement that it will be passing legislation to ban the sport from June 30, 2018. Kel Watts has labelled the announcement, made by Attorney General Gordon Ramsay, as “an absolute stitch up” and a “back room deal” between the ACT’s Chief Minister Andrew Barr and the Greens in order to stay in power. Ramsay made the announcement on Friday morning which was accompanied by the release of the Greyhound Racing Industry Transition Options Analysis by Mary Durkin. Watt said the industry had been totally blindsided on Friday morning. “We did not know the report was being released and we had no idea about his announcement,” Watt said. “The lack of respect the government has shown to people whose livelihoods rely on this industry is disgraceful. 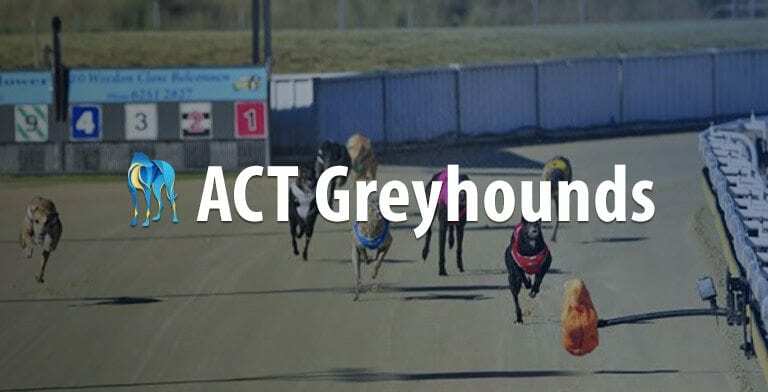 Friday’s announcement is the latest in a series of attempts by the ACT government to close the sport, all stemming back to July last year after Mike Baird’s contentious NSW greyhound racing ban. While Baird ultimately reversed his decision, the ACT government has remained steadfast in its position on ending the sport, through any means possible. Previously, the ACT government had tried the avenue of suffocating the sport by axing all funding, as Australian Racing Greyhound reported at the time. Ramsay alluded the reason for the ban is that there is too great a risk that animal welfare and live baiting issues from NSW identified in the McHugh report could infiltrate into the ACT. However, Watts says the ACT industry has never had any welfare or integrity issues in its history, a sentiment which was even re-iterated in the Durkin report. In fact, the report noted that from 2012 through to 2016, just 26 of the 27,288 greyhounds which raced at the track were euthanised due to injury – just 0.09 per cent of the dogs which competed at the ACT’s sole venue. “The government is just relying on the vague concept that the risks posed by breaches of the rules in NSW moving into the ACT is too great of a risk,” Watts said. “At the same time they have also said that the ACT have an excellent animal welfare framework. “There have never been any cases of live baiting in the ACT and no one involved in live baiting or animal cruelty cases from any other state or territory has raced in the ACT. “This is simply a back room deal between Andrew Barr and Shane Rattenbury [Greens Minister] to keep their jobs. Watt believes a blanket ban on greyhound racing in the ACT could have far-reaching repercussions and could set a dangerous precedent for other industries which don’t align with the political desires of the government. “Making the first measure a complete ban when its been identified there is no animal welfare issues in the ACT is unprecedented,” he said. Despite facing its demise, Watt re-iterated that the ACT greyhound racing industry won’t be lying down and accepting the government’s decision. “We will fight this all the way,” he said.